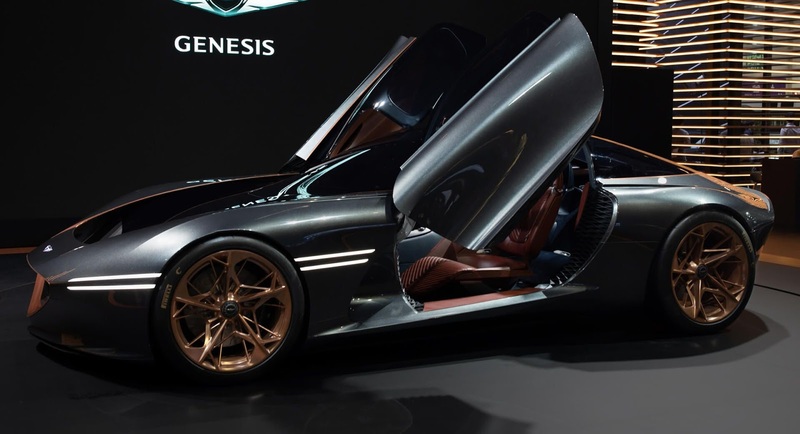 Genesis is a luxury car brand owned by one of South Korea's automotive manufacturers Hyundai has launched an all-electric concept car named Genesis Essentia Concept at the 2018 New York International Auto Show some time ago. It is said that the concept car is designed to use electric powertrain that has applied advanced technology so that it can connect with smartphone applications. For example, the facial recognition feature and the fingerprint sensor used to open and close the door. Essentia is the first battery electric vehicle and features a light carbon fiber monocoque, a powerful multi-motor electric powertrain, and a specially designed interior. 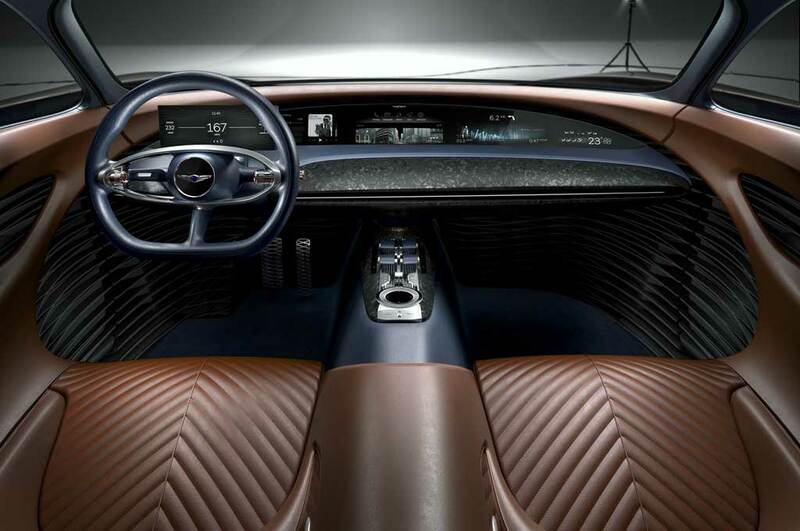 While in the cabin the driver and passenger will be served by the big display, which extends wide on the dashboard, and provides access to all functions of the car features. Unfortunately it was deemed unfriendly to the driver, because all the navigation menus are in the position of the front passenger. Another navigation is the sub-menu in the instrument cluster, telling where they turn left or right. Speaking of instrument cluster, this is fully digital as well. 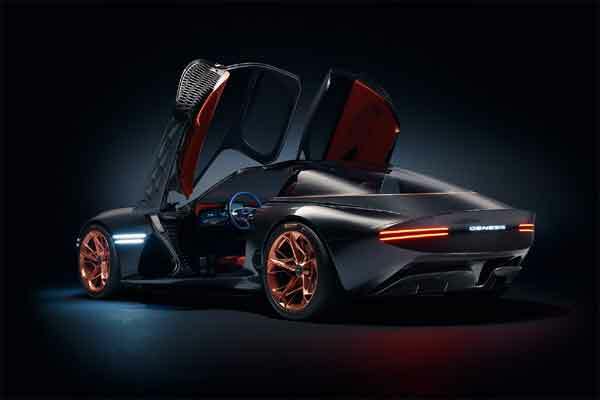 Some important details about the car shown in the instrument cluster are the top speed of the car reaching up to 269 km per hour, and the total range as far as 373 km. 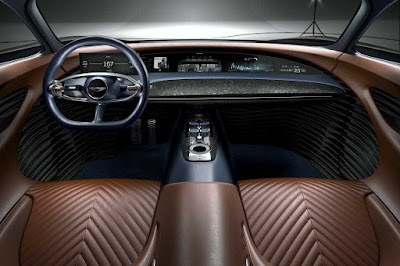 The cabin is called having a minimalist layout, with the only physical button next to the driver is the gearshift selector on the steering wheel. 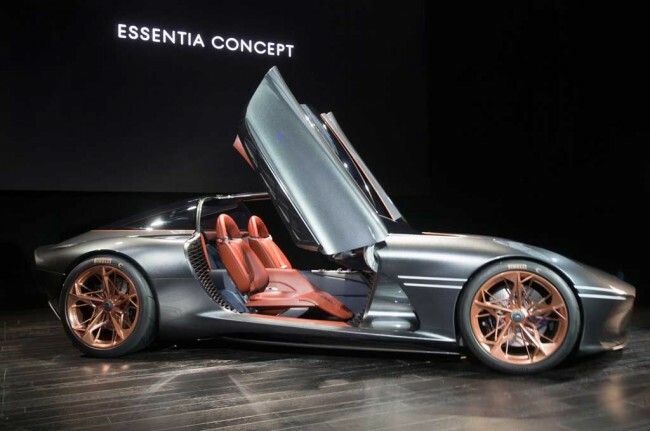 On the exterior, Essentia Concept applies headlights and Quad rear lights, reminiscent of the Genesis GV80 FCV SUV. The evolved grille design, transparent hood and retro-futuristic bubble roof also reminds us to the Italian concept car from the past is very dominating its exterior appearance.